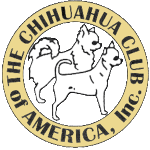 The length of a Chihuahua’s coat is determined by two genes. 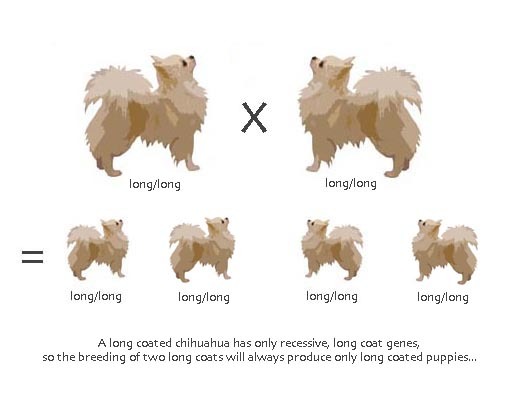 The smooth coat gene is DOMINANT (indicated by capital letters), and the long coat gene is RECESSIVE (indicated by lower case letters). 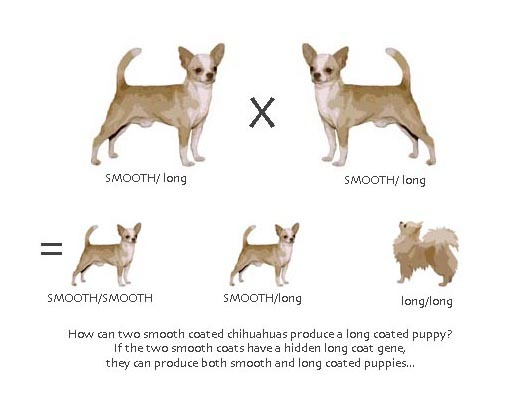 The dominant smooth coat gene, if present, will completely hide the recessive long coat gene. 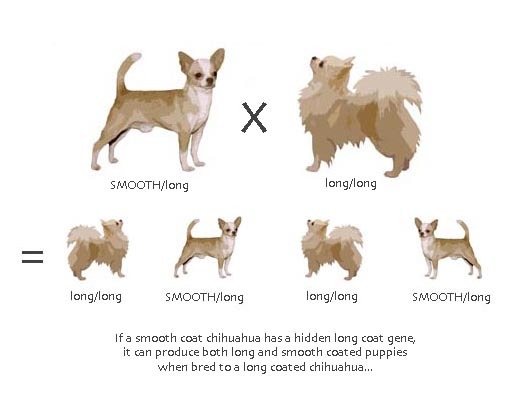 So, a dog can be a smooth coat (the dominant gene is expressed, or seen), and have a hidden long coat gene, which it can pass on to the offspring. Vetgen offers a coat length determination DNA test.